Water damage restoration is the service that revives houses after they are lost to floods. Our water damage Croton Falls crew uses the latest drying technology during our expert water removal services, and 911 Restoration Westcherster has over 35 years of experience in water extractions. Our water damage Croton Falls team is the only call you ever have to make should your home succumb to some water-related crisis. Croton Falls is a hamlet that sits within the town of North Salem, New York. With an average of four inches of precipitation per month, the residents of this area are certainly no strangers to water damage, especially when it comes to rain leaks. With the best professional crew on your side, however, there’s certainly no cause for concern. 911 Restoration Westchester is the company that you can rely on to be there to lend you a helping hand. Our water damage Croton Falls, NY technicians know from over 35 years of experience that water damage happens due to a broad range of causes. There are internal plumbing-related issues. 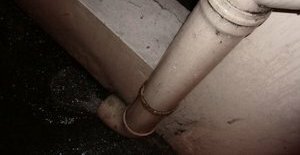 Most common among these is the classic pipe burst, but we have seen everything from water heater leaks and toilet overflows to ruptured hoses and washer bursts. Weather events are the other half of the equation. Significant rainfall can weaken the roof or siding of the home causing serious leaks. Floodwater frequently finds its way into basement and crawlspaces, and perpetual dampness spells real trouble when mold begins to form. 911 Restoration’s water damage Croton Falls, NY experts are happy to report that there are many great ways to prevent water damage from occurring. One way to ensure pipes will not freeze is to have them insulated during the colder months. If temperatures really plummet make sure you keep your heating going strong and expose pipes to the warm air as much as possible. Your home most likely already has gutters and downspouts, but the important thing you must remember is to routinely check them. Leaves and other debris can cause a block, and when water isn’t moved off the roof and away from the property efficiently a rain leak can happen all too easily. Make sure your basement sump pump is in good working order. You may even want to consider getting a backup, battery-powered pump in the event that you lose power in a storm. If you enter your home or business and find that water is present, you should contact our water damage Croton Falls, NY company right away. Our team will pump all of the water out of the affected are using the latest drying technology before starting in on water damage restoration. We will restore any parts of the home that were ruined including, but not limited to, walls, carpets, wood floors, cabinets, and much more. We want to ensure your home looks the way it did before the damage occurred. Be especially cautious if when dealing with black or gray sewage water. Our sewage backup cleanup crew is equipped to handle safe sewage water removal. 911 Restoration is the best company to work with because every member of our water damage Croton Falls, NY crew puts you first at all times. Our technicians will be able to provide you with a free estimate upon arrival, and we always respond within 45 minutes so that service is underway as soon as possible. Our company has been assisting homeowners and business owners with disaster restoration for over 35 years. 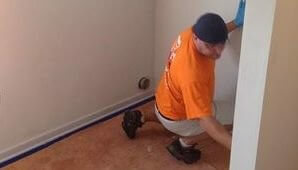 We are licensed, bonded and insured to get the job done right. We’re available 24/7/365, have affordable prices, and work with all insurance companies. Call our water damage Croton Fall technicians so you can get a fresh start!